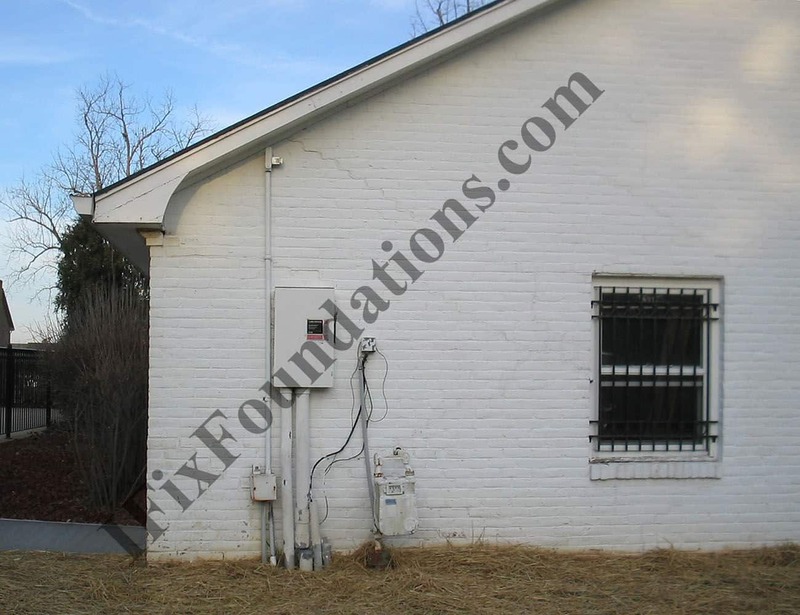 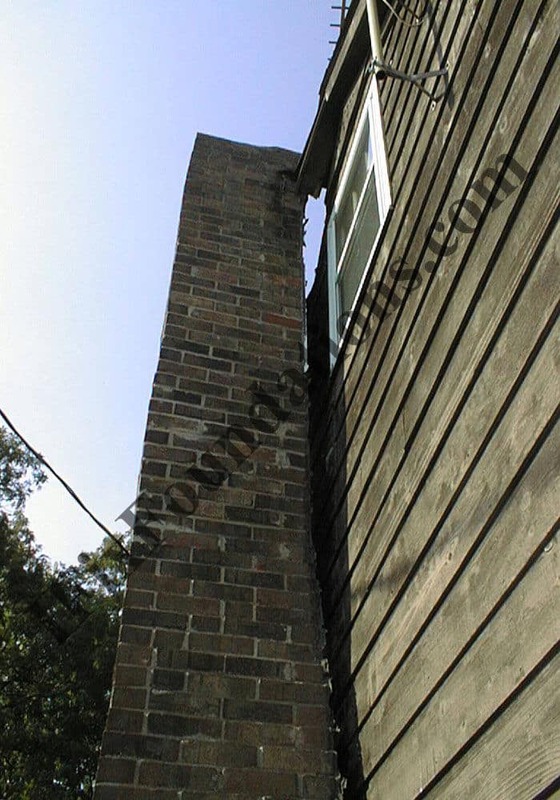 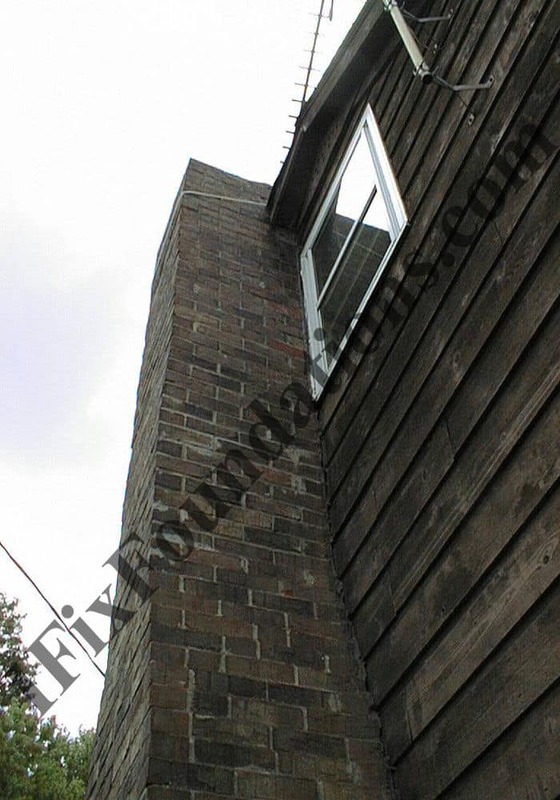 The chimney foundation was attached with re-bar that acted as a hinge during foundation settlement.We were able to lift and stabilize with pressure driven piles. 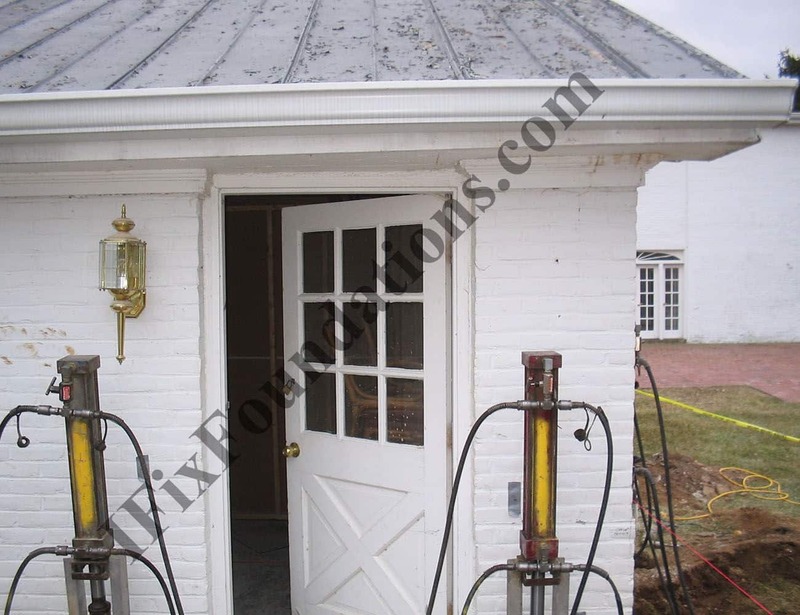 Doors corrected after foundation leveling. 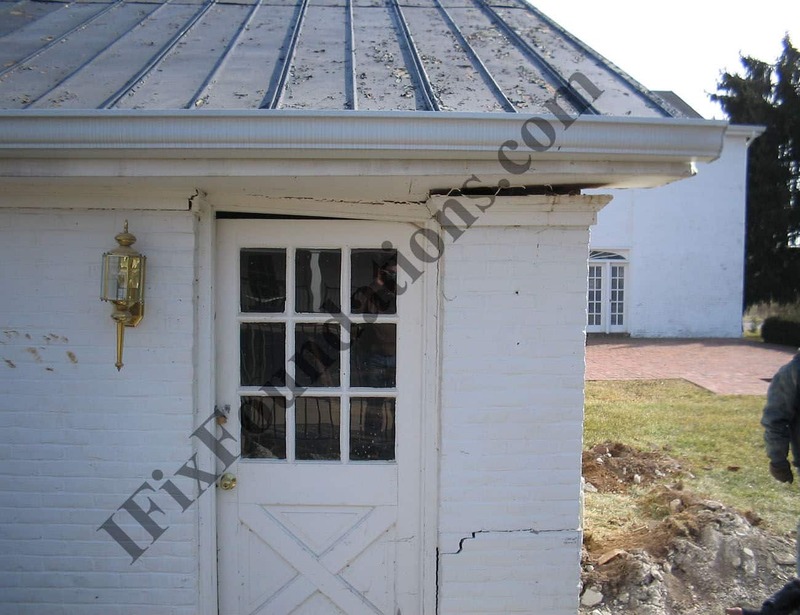 Foundation repair on neighborhood pump house. 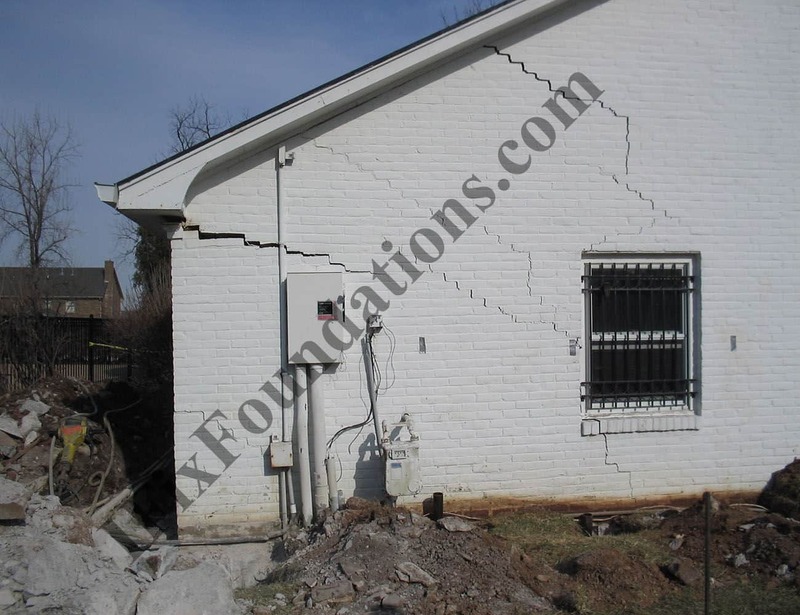 Multiple foundation breaks fixed with pressure driven piles.